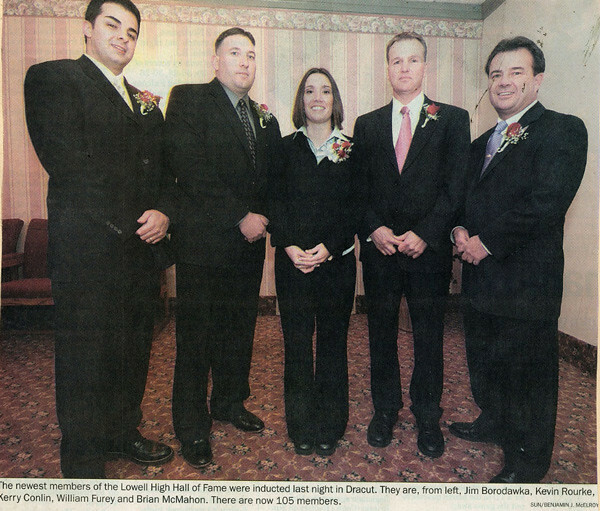 Kerry Conlin was a giant on the soccer field, the basketball court, and the track during her outstanding career at Lowell High School. As a member of the Raider Soccer team, Kerry was a Merrimack Valley Conference All-Star as a sophomore (1991) and won MVC All-Conference honors in 1992. The team Captain, Kerry was selected as the MVC and Lowell Sun Player of the Year in 1993, when she was also chosen as a member of the Eastern Massachusetts All-Star Team. Kerry led Lowell to its first-ever Eastern Mass State Tournament in 1993. She scored the games only goal in Lowell’s 1–0 victory over arch-rival Billerica as the Red and Gray advanced to the quarterfinals. A standout point guard on Lowell’s basketball squad, Kerry earned MVC All-Star honors in 1992–93 and All-Conference honors, as well as Lowell Sun All-Star status, in 1993–94. As a senior Captain, Kerry helped lead Lowell to the quarterfinals of the Eastern Mass Division I Tournament during the 1993–94 season. During her senior year, Kerry participated in Outdoor Track and earned MVC All-Star honors in the javelin. 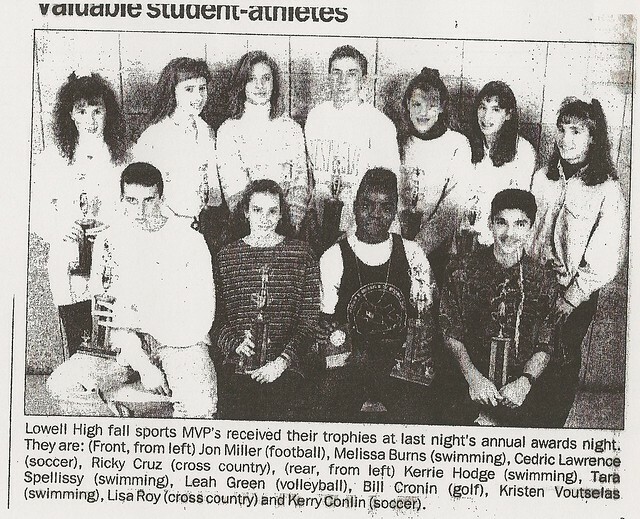 As a result of her career efforts, Kerry received the prestigious Valedictory Athletic Award in 1994, presented annually to Lowell High School’s most outstanding graduating senior female and male athletes. After graduation, Kerry attended Merrimack College, where she continued her exploits on the soccer field. A four-year starter for Merrimack, Kerry became one of New England’s top collegiate players during an outstanding career. Kerry was a 2nd team All-Northeast Conference selection as a sophomore (1995). 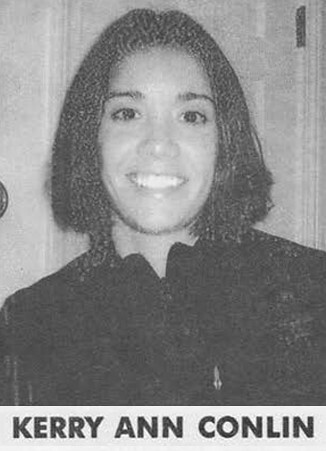 She was named 1st team All­Northeast Conference in both 1996 and 1997. 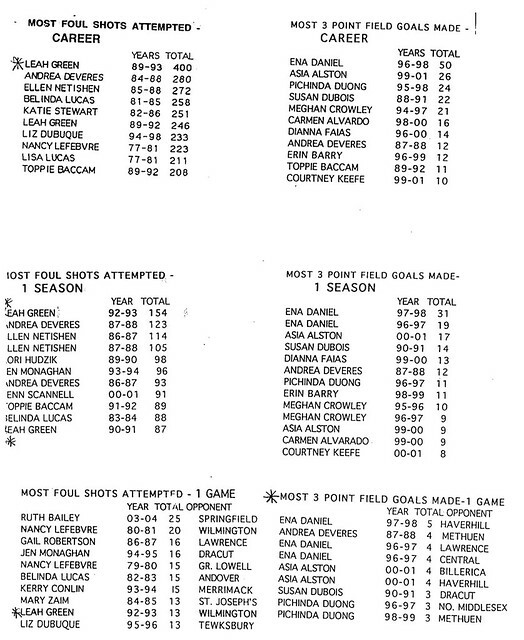 She was also chosen as 2nd team All-New England in 1997. During her junior season (1996), Kerry was a star forward on the Merrimack team that was ranked #5 nationally and competed in the NCAA Division II Elite 8 Tournament. Kerry finished her career at Merrimack as the school’s 5th all-time leading point scorer (106) and set school records for most goals in a game (4) and fastest goal scored in a game (62 seconds). After graduation, Kerry returned to serve as the Girls’ Junior Varsity Soccer Coach at Lowell High.